Military prefer UAVs, which are capable of flying unmanned and undetectable to radars. 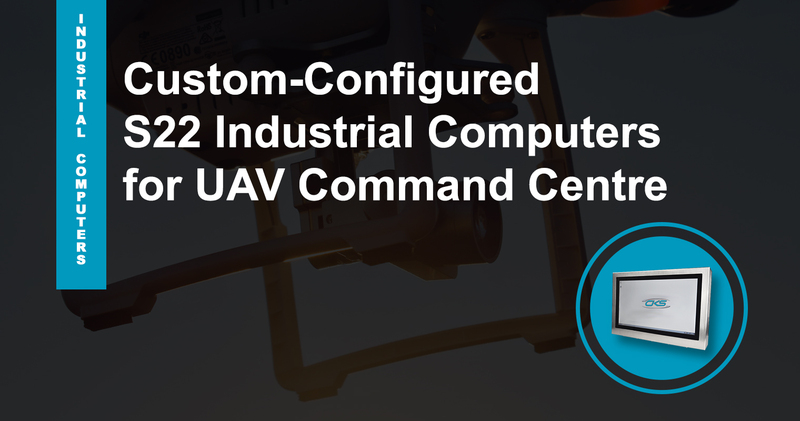 UAV command centre uses a custom-configured industrial computer system, ensuring the capability to control drones on a mission. Rackmount S22 industrial PCs is an all-in-one computing solutions to elevate military UAV ground control operations. In the past, military operations used a Stealth technology when it comes to planes to become invincible to radars. Today, the military prefers to have smarter, faster planes and capable of flying unmanned. Fortunately, this inventive concept came into reality; Unmanned Aerial Vehicles (UAVs) are now the latest military weaponry. Through a UAV command centre, these military drones are controlled based on its mission. As a result, real-time data is gathered in the command centre with military personnel unharmed after the operation. Inside the UAV command centres are sets of the custom-configured industrial computer system. Each unit has a specific feature and capability for a drone to deliver a successful mission. One of the most utilised devices are the 22” rackmount industrial PCs. This type of computing equipment can have a Thin Client Technology, which is required for military command stations. This feature has the highest security endpoint option available for a device. Operators can access and use the data while data resides securely in the data centre. Do other military PCs have this specific capability? Read more on this blog and understand why our computing device is the best bet for UAV ground stations. Imagine how the Lockheed Martin’s SR-72 flew from London to New York in under two hours undetected. How did it work? These unmanned vehicles are manoeuvred by a reliable computing system, like the S22 rugged military computers, in a ground control station. Its 22-inch capacitive touchscreen displays can provide more precise map views of the drone. Likewise, this feature can also provide real-time images of its location. Operators can pinch or tap to zoom in the captured real-time image of UAVs. Thus, this device is covering an actual data for a specific military operation. What’s more, panel PCs with projected capacitance touchscreens are also water-, dust- and scratch-resistant. Operators can even utilise applications on the screen monitors even when wearing gloves. This is because capacitive touchscreens have better touch functionalities when compared to other touchscreen technologies. What makes the S22 ruggedised computers different from other enclosed PCs? Here is a comparison chart below. These are just amongst the remarkable features of our computing devices. Looking at the chart, our S22 panel mount PCs is a complete package of a sturdy, reliable computing system. Apart from its quad-core motherboard processor, it also supports Hyper-threading. This means that it can perform multiple activities while providing efficient operations. Not only that, but this device also has a built-in Watchdog Timer. This feature continually monitors and records internal operating conditions. Hence, it protects the hardware from any system errors. Nowadays, military drones are becoming a favourite tool used for surveillance and critical missions. As UAVs are getting smarter, its control system should also have the flexibility to support upgrades and advanced applications. That way, both drones and controllers can perform its functions efficiently. Get a FREE quote on industrial computing solutions from us today. Contact us through +44 (0) 1438 747111 for queries.